Don’t forget to get Christmas presents for dogs! 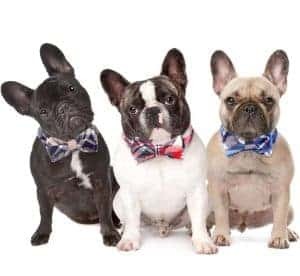 This list of dog gifts will help you decide what to put in your dog’s stocking this year for Christmas. Today it’s all about our furry little friends! Did you know that long ago when I first started this blog, it was named The Johnsons Plus Dog? It’s true, we love our doggie! And we always try to find some cute dog Christmas presents each year. These items are some of Gannon’s most loved things. 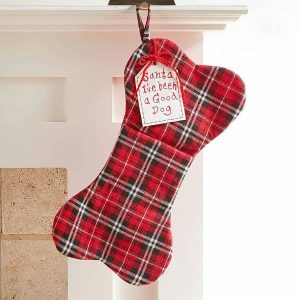 Hope you are able to fill your dog’s stocking some some of these fun T-R-E-A-T-S… (yes we have to spell out the T word in this house or Gannon starts freaking out). Are you ready to see these dog gifts? To start things off, let me first introduce you to our furry friend. Gannon is our best bud. He’s about five and half years old. We got him as a brand new puppy a few weeks before we got married. 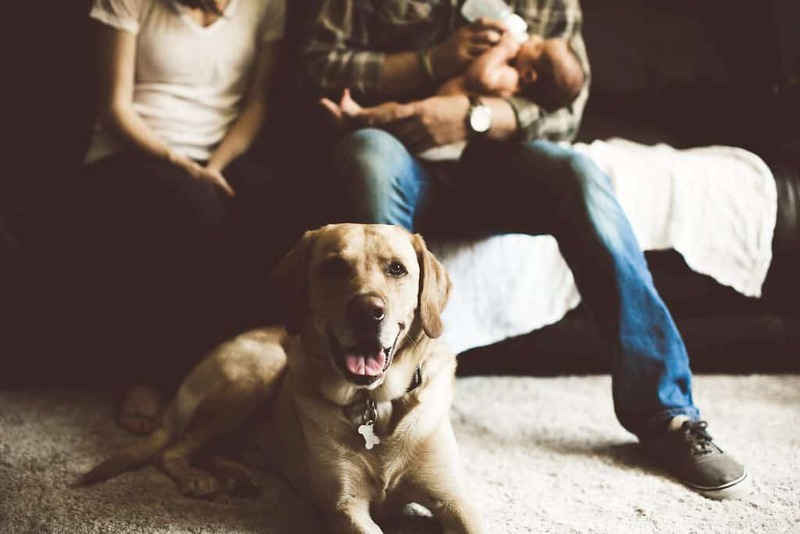 Many people told us we were crazy for getting a dog right when we got married, but I think it was one of my favorite parts about our first weeks and months as newlyweds. It was so fun to have something that “ours” together and to figure out how we wanted to raise him together. It’s been so fun to watch him turn into a great big brother to our kids, over the last couple of years. I can tell they are going to get into a lot of mischief together in a few years. Woof, Woof! 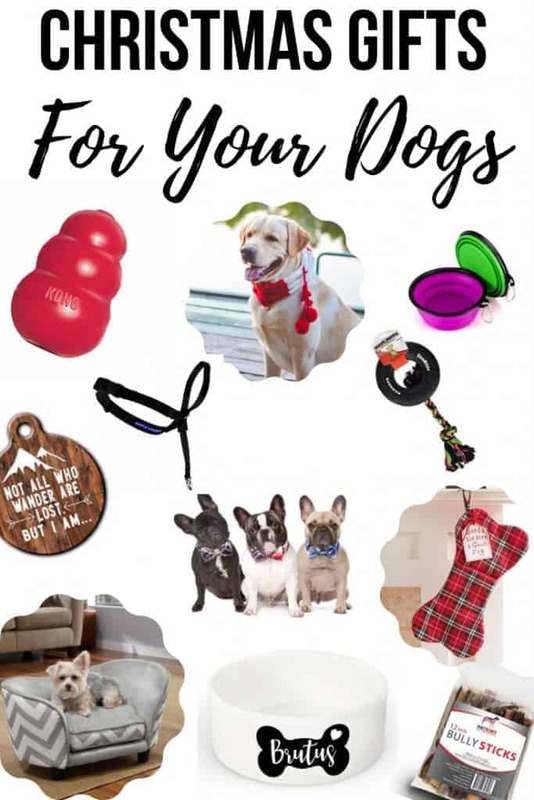 Let’s get on with this guide full of dog gifts! 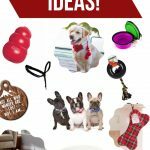 This dog gifts post contains affiliate links, but nothing that I wouldn’t wholeheartedly recommend anyway! Read my full disclosure here. This bow tie will make your little guy look dapper as ever! No need to worry about sizing, it is adjustable. Gannon destroys toys. End of story. This is one of the most durable and fun toys we’ve ever got for Gannon. It was actually a Christmas gift for him from his “Grandma” (Logan’s mom) a couple of years ago and it’s still strong! He loves to swing the tire around and usually ends up knocking himself in the head with it, but it doesn’t seem to faze him! It’s so fun to watch him play with this tire toy. If you’re struggling with a dog that’s taking you for a walk instead of you taking him for a walk, the gentle leader will save the day. When we were leash training Gannon, we tried A LOT of different things and this was the only thing that made much of a difference. After years of wearing it for walks, it still works. He doesn’t pull a little, but he doesn’t drag me around anymore. 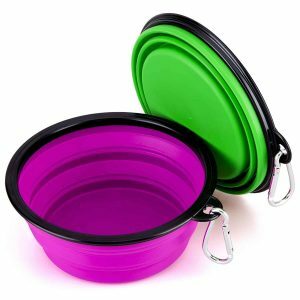 If you take your dog out and about or for road trips, having a collapsible bowl is super handy. 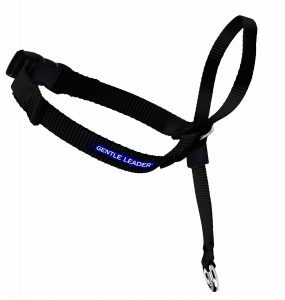 This one is great because it has an attachment to clip on to your leash. You can give your dog food or water in these bowls. Every furry family member needs their own stocking. You can fill it lots of dog Christmas presents, possibly some from this list of dog gifts! Ok, so there’s no WAY our dog could fit on this cute sofa pet bed. But as I saw it, I knew it belonged here on this list of dog gifts. I mean not everyone else’s dog is 80 pounds like mine. 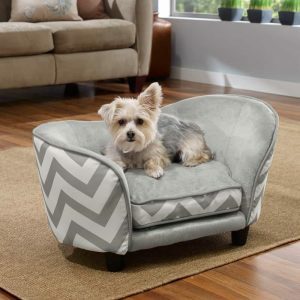 If your dog fits on this sofa pet bed, I bet your furry little friend would love to have this gift under the tree this year. This is another one of those toys we’ve had since Gannon was literally a PUPPY! It’s a super tough toy! 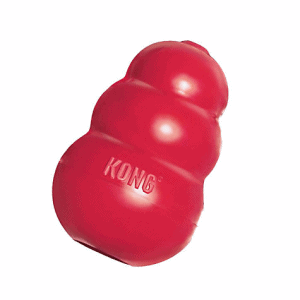 One of Gannon’s favorite and ultra special treats is when we put some peanut butter inside this toy! We also keep dog treats in there that he has to figure out how to get out. 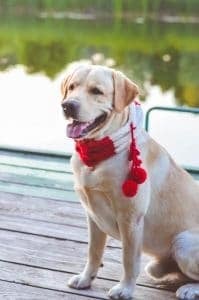 These make great Christmas gifts for dogs who are active pups. Ok, THIS is the cutest dog tag I’ve ever seen. This is great stocking stuffer for your dog, don’t you think? 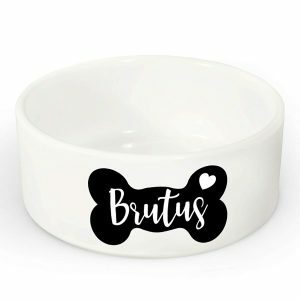 I love this dog bowl that is customized! This is the perfect size for a big doggy’s water bowl and cute and trendy as well. 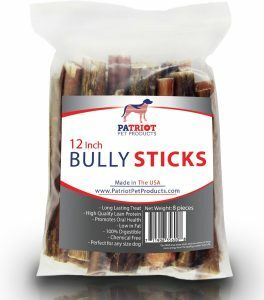 Bully Sticks are long-lasting chew treats that are a good alternative to rawhide. 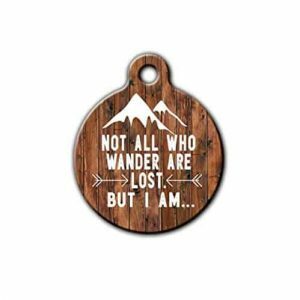 We don’t give these to Gannon regularly, but use them for road trips or times when he needs some to get some extra energy out (like in the middle of winter when we can’t go for our daily walks). There’s nothing cuter than a dog wearing a scarf during the holidays. Gannon surprisingly leaves his on no problem and it doesn’t seem to bother him. And if you’re wondering, no that’s not Gannon in the pictures. It could totally be his twin though! So, did you find some good dog gifts on this list of dog Christmas presents? Some people may think it’s silly to buy Christmas present for your dogs and we don’t really spoil Gannon often, but we do try to get his a couple little things for Christmas as a special treat!